Editor’s note: This post was written by Tracey Jones, a WordPress Developer by profession and a blogger. She works for HireWPGeeks Ltd., WordPress Development Company and handles all WordPress customization projects with her team of developers. She is a passionate writer and always on the lookout for learning something new. Follow her company on social media channels like: Twitter, Facebook and Google+. If you are looking to create the new generation mobile applications web-app frameworks that are specially designed for non-developers will be useful – especially if you’re just starting out and don’t have much coding knowledge. With the use of app makers, anyone can build professionally looking, user-friendly and fully functional applications without requiring any technical assistance. In this blog post, we will share the 10 most useful web-app frameworks that will help you create a new generation web applications. App Factory is a great business-focused web–app framework that allows you to create a fully-functional mobile application with ease. The App factory automatically fetches your content from your website (it can be either RSS feed or Atom feed), so that you can develop an app within a few minutes. You only need to insert your website’s URL or feed URL, upload your logo and select the desired color combination, and you are set to launch your application for the mobile readers. It supports up to 4 websites’ URL or feeds URL as the individual channel within your application. It offers a simple and clean app building platform that allows you to deliver content directly to your targeted mobile users instantly. Furthermore, the App Factory allows your business to create mobile applications quickly, easily and cost-effectively, while determining that they meet your organizational objectives and fit perfectly into your marketing strategies. If you are looking for an affordable and quicker way to create a beautiful mobile application for your business, then Bizness App is an ideal tool for you. It is one of the most popular mobile app creators that allow you to develop a mobile app quickly without the requirement of any technical expertise. This app maker is suitable for all types of businesses, such as manufacturing companies, real estate or legal services, restaurants, spas, sports, non-profit organizations and much more. 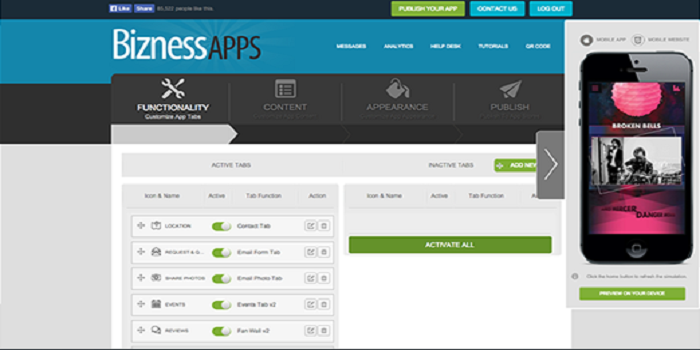 Bizness Apps is especially developed for small businesses or blogs which don’t have a huge budget to create a visually appealing and high-quality mobile applications. It offers easy-to-use a Content Management System that allows different types of companies to design and personalized Android and iOS mobile web applications. It comes with the wide range of powerful features, such as one-touch dialling, mobile shopping cart, push notifications, GPS directions, image galleries, custom email forms, program integration and more. GameSalad is an amazing app creator that allows everyone to create a powerful gaming application without the use of single line of code. It is a drag-and-drop app creator that helps you in developing a high-quality mobile application quickly and efficiently. In addition, its drag-and-drop interface enables you to assemble your game together and then assign behaviors to all the components of your game. It also offers highly customization options that enable you to customize your game app according to your needs with ease. With the use of In-App previewer, you can also test your game logics and behavior sets on your mobile devices or on desktops. In fact, GameSalad lets you build a game app within few hours. 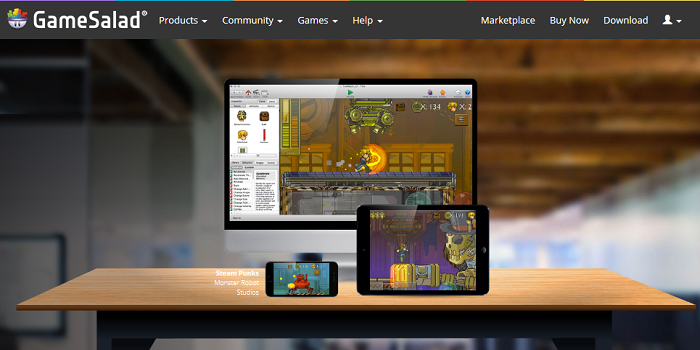 You can create a game app for iOS, Android, Windows 8, Kindle, and Mac desktop. You can also publish your game online to the GameSalad Arcade. 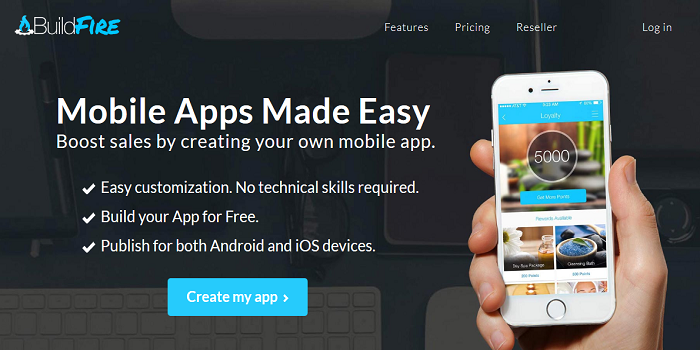 Mobile Roadie is an incredible self-service mobile app creator used to create business-related mobile applications for iOS and Android platforms. Many of the reputed companies built their mobile apps by using Mobile Roadie. It offers an ample collection of advanced app features that can help you create a professional looking app for multiple mobile platforms. With the use of this app maker, all types of businesses can build robust apps as it offers some of the exciting features, such as individualized messages, location maps, push notifications, new updates, chat options, and mobile marketing tools. Other additional features of mobile roadie include photo uploading through Facebook, Flickr, Instagram, Twitpic, and you can also import audios from SoundCloud, iTunes and other similar services that enable you to purchase music from the app. It also allows the business to build Quick Response (QR) codes that are used to link or unlock the additional content. AppMachine is a great web-app framework, designed particularly for non-developers who don’t know much about the technical coding. 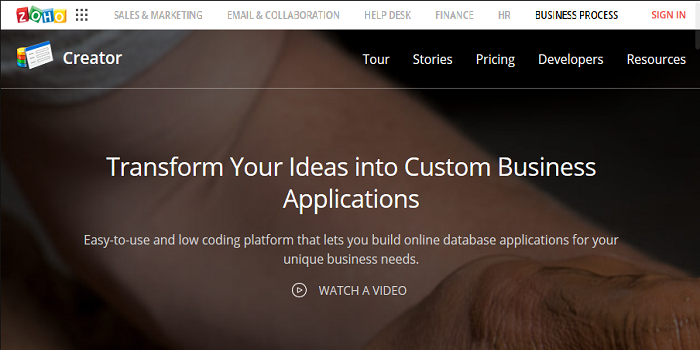 With the help of this tool, you can create gorgeous and full-featured apps for your business. This is a (semi) free app creator as you only need to pay for the service when your app is ready to publish. The simple and quick way to build an app is done by scanning your current website and uploading the content into an Android, iOS and Windows Phone app. AppMachine gives the flexibility to the businesses to adopt either the standard or advanced features. Standard features include photos, videos, social media, analytics, contact information and much more. While, advanced features including custom coding, e-store and other web services to enable connections to external data sources. 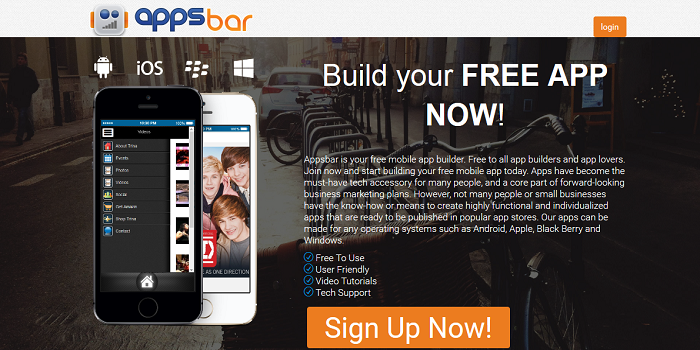 If you want to create a fascinating mobile app for your client, then Appsbar is an ideal option for you. It is an app creator that allows you to create native apps as well as HTML5 apps for Windows Phone, iOS, and Blackberry devices. It is supported by the experienced team of developers that make sure that you have the best mobile app development experience without any hassle. 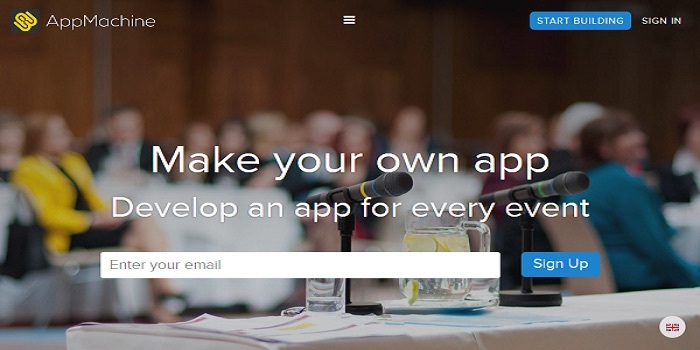 You can create your app with this tool in three simple steps. First, choose an app from 37 app types such as online business, restaurant, general business and more. Then, create your app with the help of useful features such as social links, menu choices, multimedia, forms, social links, and other components. You can also preview your app if you want to make changes in the existing one. In the last step, you need to submit your app for publishing, and Appsbar’s developers will examine and make changes in your app to make it more compelling and professional. After publishing an app, you can share your app from the Appsbar app creator to the other popular social media platforms, such as Facebook, Google+ and more. BuildFire is a great app builder that offers two ways of creating a mobile app: either you can do it by yourself or allow BuildFire app developer to build your app for free. If you want to create your app by yourself, use its “click and edit” dashboard, which is a no-coding platform that allows you to create and customize the app without any coding. In order to allow a BuildFire developer to create your app, then you just need to enter your site’s URL and your app will be set for publishing. BuildFire offers a wide range of features, such as streaming video, e-commerce and m-commerce, push notification, calendar integration and much more. With the help of this app, you can boost your brand image and can customize the look and feel of your app design as per your business requirement. 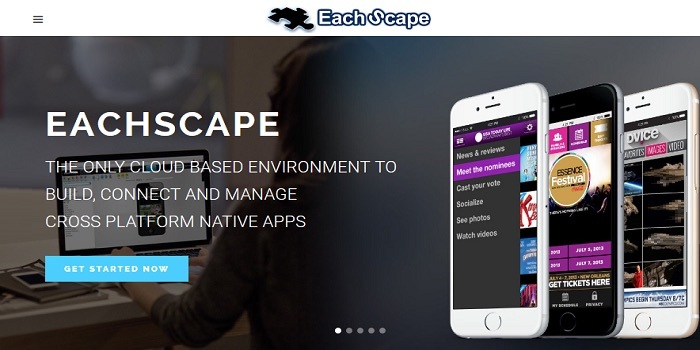 EachScape is a browser-based app creator that allows non-developers to create high-end Android, iOS, and HTML5 applications. Most of the world-recognized companies such as Discovery, NBC and Kellogg’s have used this app to create a custom mobile app. It comes with some of the compelling features, such as push notifications, location-based services, social media integration, live streaming and more. It also offers Cloud Content Management System to store images, text, audios and videos that enhance you app as well as Data Manager that performs with different types of data sources, such as XML and RSS. Zoho Creator is a modern and user-friendly app builder that allows any user, especially those who don’t have technical knowledge, to create fantastic and fully-featured mobile apps for their businesses. 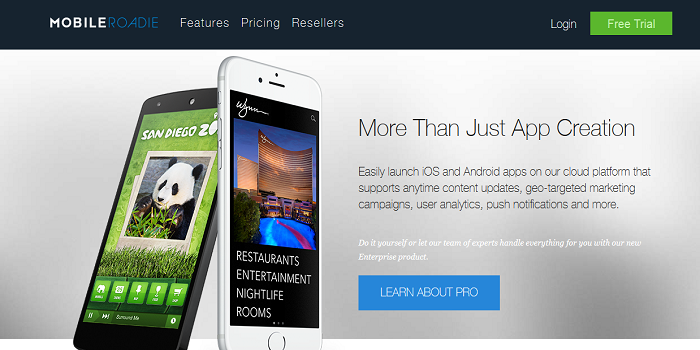 Its drag-and-drop interface allows the user build professional apps with ease. This user-friendly app builder comes with other advanced features that make it functional for app users or targeted readers but also for your businesses. For example, you can insert customer relationship management capabilities such as automatic alerts for sales reps. You can also merge third party app services like PayPal if you want to sell your products. 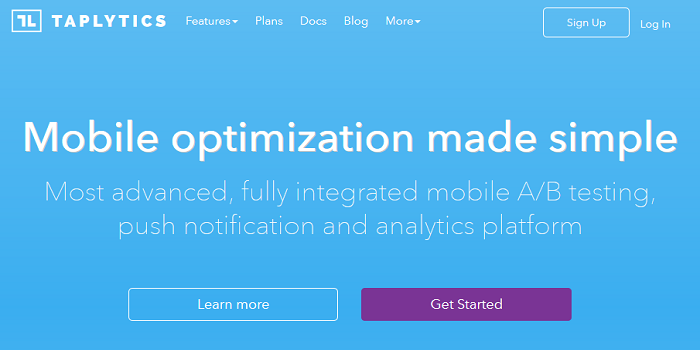 Taplytics is a fully integrated mobile A/B testing platform that helps users to optimize their apps. It allows anyone to update their app without the use of a single line of code. This app enables enterprises to focus on their basic organizational goals and utilize the benefits from their mobile app. An app creator is developed to offer expeditious app updates by using the web-based Visual App Editor. In fact, the recent version of Taplytics offers some additional functionality, such as custom goals and code-based experiments, on-devices menus, and more. We have compiled the 10 most amazing and user-friendly web-app frameworks that are particularly designed for those users who don’t have any technical knowledge. With the help of these apps-builders, you can create impressive mobile applications for your business.